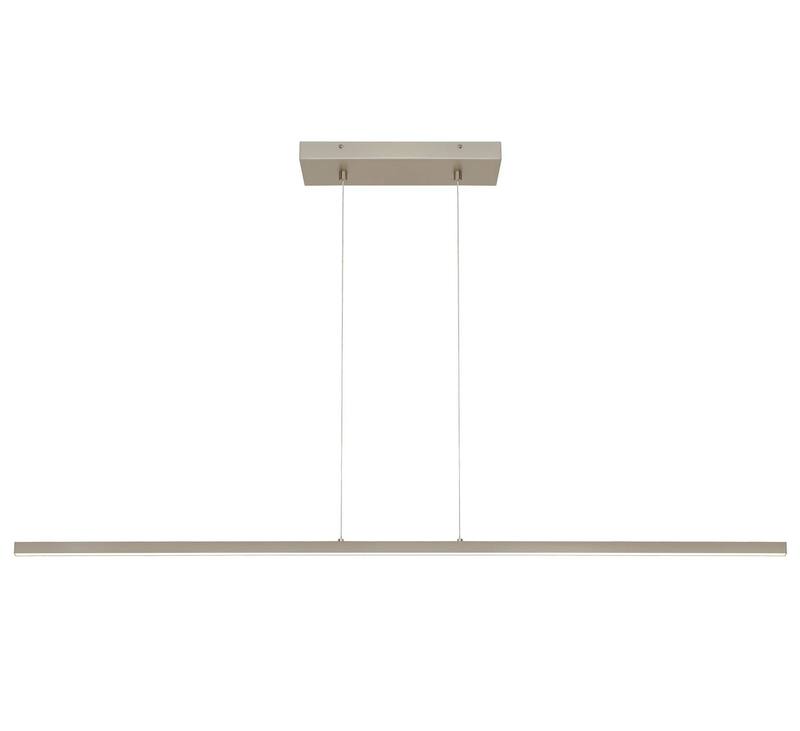 Essence Linear Suspension is the ultimate in modern minimalism, the clean horizontal line will make a dramatic statement while not detracting from beautiful room surroundings. 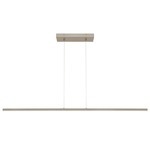 The lighting fixture emits a warm light glow downward. 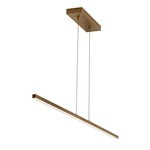 Ideal for a dining room table light, kitchen island light, living room light or conference room table light, Essence is available in either an Aged Brass finish with Bronze cable or Satin Nickel finish with Clear cable. One 20 watt LED module is included. ETL listed. Damp location rated. 50 inch width x .8 inch height x 120 inch maximum length.